Corel PDF Fusion - download in one click. Virus free. 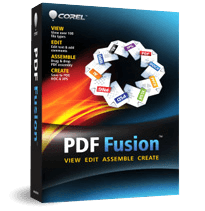 Download the latest version of Corel PDF Fusion with just one click, without registration. It is a standalone setup package that contains the full offline installer for Corel PDF Fusion. 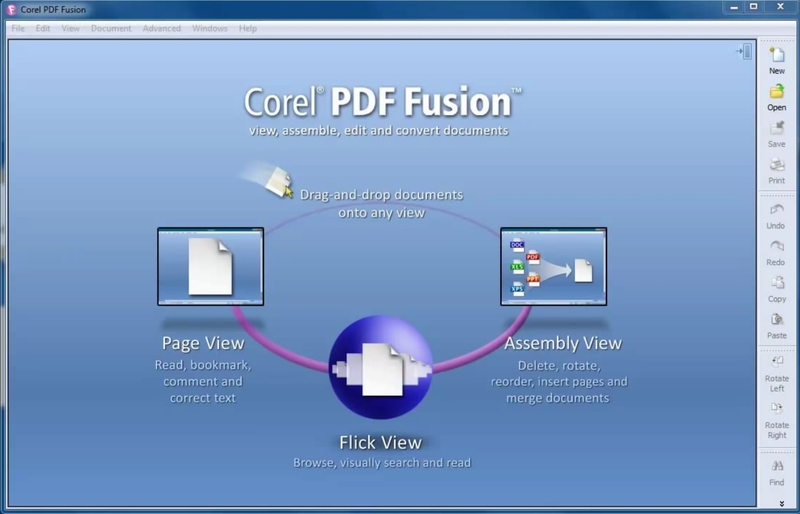 Corel PDF Fusion is a feature-rich PDF creator toolkit. This time Corel Corporation have made an all-in-one PDF utility that allows its users assemble, edit, and create PDF documents without any limitations. You can not only open files via menu, but drag and drop them onto the Welcome Screen. Corel PDF Fusion supports about 100 different file types. Thus, you can take parts of different documents and merge them to form one solid PDF with everything you need. The program allows you to add watermarks, new text, and comments, as well as hyperlinks to certain pages within the document or to other files, and even websites. Corel PDF Fusion can save files in PDF, PDF/A, XPS, and Microsoft Word formats, so you can always have your project in the right format. You can use this tool as a mere file converter if there is the need for that. Corel PDF Fusion allows you to convert documents in a batch mode, when several files are processed at once. Summing up, you will not need to install any additional utilities to create stunning PDF documents as Corel PDF Fusion has all important tools within it.